Terry Glavin: Afghanistan: The Writing Life And All That. I've been busy these past few days sorting out the latest developments in Afghanistan's unraveling. See: Koran riots are about more than religious zealotry and Gulbuddin Hekmatyar: The Vampire Returns. So I'm using this an excuse to get to a roundup of recent reviews and notices of my book, Come From the Shadows. "In Glavin’s Afghanistan, things may have gone mightily awry, but not everything has gone wrong. As the state has muddled through, progress has been local and personal. The costs are high: War has contributed to increased mental illness, poverty is searing and families can find themselves divided by belief as well as deed. Glavin embraces the whole country with kindness, somewhat in awe of the courage and convictions of individuals who simply will not accept the negative assumptions that outsiders can bring to them and their country." Author, historian and retired Canadian army colonel John Boileau, in the Halifax Chronicle-Herald: "Come from the Shadows is a book that will disturb both proponents and opponents of the United Nations-approved, NATO-led mission in Afghanistan. Proponents (aka the "right") will regard it as confirmation that Canada was wrong to pull out of combat operations last year, while opponents (aka the "left") will undoubtedly flinch at the skewering that author Terry Glavin inflicts upon them. All of which is a bit strange, as Glavin is self-admittedly very much a traditional 'lefty'." That's more than fair, too. In the Literary Review of Canada, another retired colonel, Mike Capstick, reviewed my book alongside Chris Alexander's fine The Long Way Back, as did Newberg in the Globe. Mike knows me (we've been in touch for years, and in Afghanistan he helped me get my head around a couple of thorny questions I was chasing down) and he's worked with Alexander. I don't think he's quite right to say I'm "highly critical" of the news media, although that would be an easy thing to be, and I don't credit all progress solely to the Afghan people. But what I find interesting about Capstick's review is that he reckons I bang on a bit too much about the moral squalor that settled like vapors over much of the liberal-left in the matter of the Afghan struggle. He says it's "well worth reading," but: "Clearly intended to place the anti-war movement on the wrong side of history, these tend to make the story about us, as opposed to the Afghans who will either prosper or suffer because of our intervention." Well, actually, yes. I set out to write a book that was as much about "us" as "them," and I draw those distinctions differently, much the way Peter Ryley does, in a review that is a gorgeous essay on its own. As Ryley puts it: "Yet there is more to it than this. 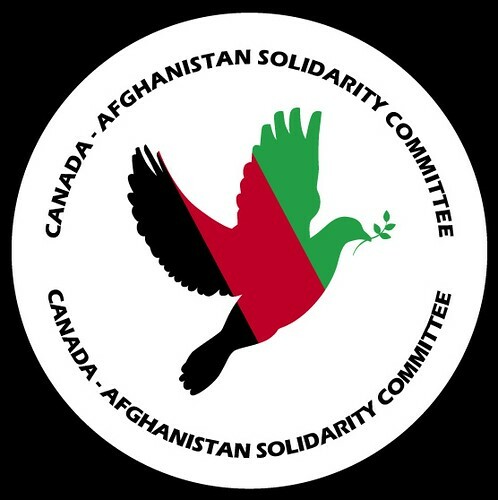 As I read on, I became more and more convinced that the struggle for a democratic Afghanistan is also our struggle." At the moment, Ryley is teaching part-time in Manchester and working on what will undoubtedly be a terrific book on a little-explored corner of anarchist history. He divides his time between the UK and Greece, from where he sends me the occasional cruel report about how delightfully warm and sunny it is there. Anyway, unlike Capstick, Ryley would have wanted me to bang on a bit more than I did, but with greater thought and precision. Ryley's view - and I must admit he is quite right - is that I hold that the self-proclaimed "anti-war" movement is "a breach with earlier socialist and social democratic discourses," and that "the left abandoned class organisation in favour of 'counterculture'." Ryley cleaves to what is perhaps a slightly more nuanced view, but certainly a longer view, one that sees "all the currents of apologism, relativism, anti-Semitism and frank admiration for tyrannies as things that have always existed within the left." Peter also wants to rehabilitate the idea of "counterculture," and makes a solid case for just that. On the main question, the only one that really matters, here's Ryley: "Think of how the poor, for example, are to come from the shadows in any European country, how other than by listening to their voices are they to escape the stigma of the word 'scrounger' or the more respectable condescension bestowed by the concept of 'dependency culture', think of how they too can build their own communities, organise and, when necessary, protest. 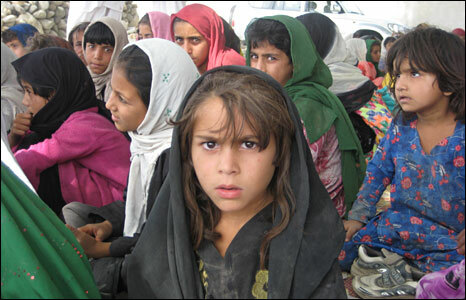 Yes, Afghanistan is our struggle too." Ryley gets it. So does another comrade, the Iranian-American journalist Sohrab Ahmari, co-editor with Nasser Weddady of of a marvelous and moving anthology that will be out in May, Arab Spring Dreams: The Next Generation Speaks Out from North Africa to Iran, an advance copy of which I have just got my hands on. Trust me. You will want to get your hands on a copy too. In World Affairs Journal, Ahmari's review of my book is, like Ryley's, a fine and thoughtful essay in its own right, Afghanistan Now: The People Do Not Want To Go Back. "The country that we are rushing to abandon, Glavin argues in his powerful new book of first-person reportage from Afghanistan, is an 'Absurdistan' of our own construction— 'an apparatus sustained only by the suspension of disbelief, a contrivance wholly impervious to the objective realities of the world in which Afghanistan actually exists.' To be sure, Afghanistan is a land devastated by more than three decades of conflict and civil strife and driven to unimaginable cruelty and backwardness by the obscurantist zeal of the Talibs. But, as Glavin shows, that’s only part of the story. There is another Afghanistan, a 'womb of empires,' where, under the protection of NATO forces and thanks to the tireless efforts of countless Afghans, a vibrant and once tolerant civilization is being reborn." Finally, I was surprised by the warm reception the Words Without Borders audience gave me on Saltspring Island this weekend. Nobody called me a warmonger, not even once. It was grand. I joined Murray Brewster (The Savage War) and Ann Jones (Kabul in Winter) for a discussion moderated hosted by Kevin Patterson. My old chum Paul Burke put me up and it was lovely catching up with him and Anna, and I had a couple of great sessions with Jonathon Chilvers and Sally Armstrong. Sally should have been on the panel. She's more familiar with the Afghan struggle than any of the "experts" we usually hear from, owing to her long, continuing and intimate familiarity with Afghanistan and her splendid and groundbreaking first-hand reportage from the country, where she was risking her life to bring stories to us from the women there, long before 9-11. Plus I got to catch up with my buddy sister hero of the people Lauryn Oates, who's just now packing her bags to head back to her beloved Afghan sisters. And get this: she turned a mere 30, if you don't mind, the day before she headed over to Saltspring. And this will be her 30th trip to Afghanistan. Stay safe, kiddo. You're never far from my thoughts.